Videography is built on passion and determination. You cannot deny the hard work videographers put into every video just to get the desired cinematography. You also have to consider the amount of money used to buy the needed equipment. It would be a total waste not to share your craft with the world, right? So show them your skills. Show off your talent. Social media can help you get an audience, but if you want a larger reach, having your own website is a must. 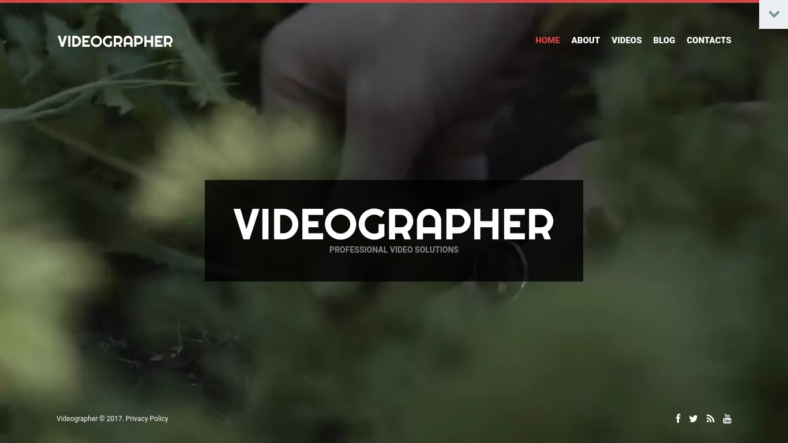 You are in luck because we have curated the best WordPress themes for videographers! Check out the list below and have fun choosing the right WordPress theme for your website. Starting off the list is Speedway. It may be simple, but the developers sure did not skip out on the animations. As you scroll down the website, animations pop out from both sides as if waiting to surprise you. Animations sometimes slow down the pace when you scroll through the website, but not on this one! The minimal animations make for seamless transitions. Showcasing your craft will not be a problem as there are enough spaces to feature your best works! Check this one out and see how its simplicity will impress you. You may also see Responsive WordPress Themes & Templates. This theme screams ‘modern’ from every corner of its layout. The aesthetics of the theme will remind you of photos on social media sites posted by top photographers. Of course, being modern means being simple. Minimalism is the trend now. You can customize your theme with the bare minimum and it will still look great. It is fully responsive, as expected, and its quality code makes this theme work with high performance. A powerful admin panel is included so you can have full control over the customization. It is also SEO-ready so it will definitely pop up at the top of search results. If you are into modern themes, then this is for you. 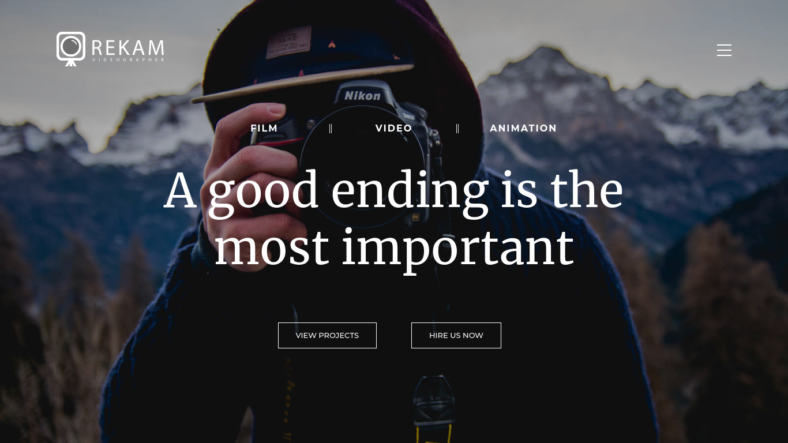 Built with parallax effects, this theme floods your website’s layout with pictures. 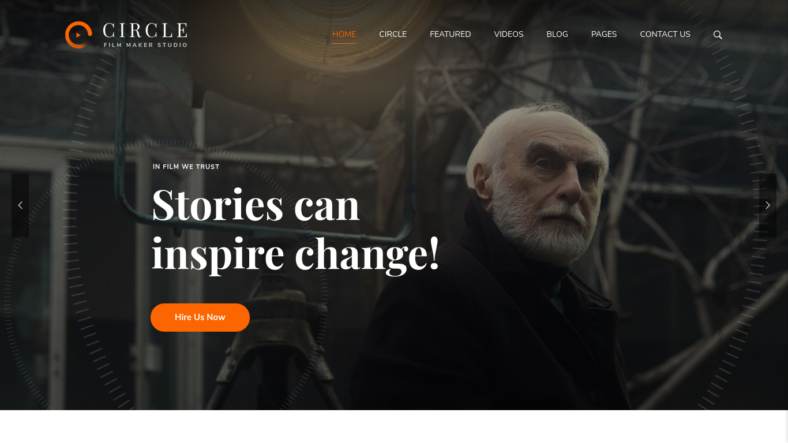 It can be considered minimalist to some extent since it does not have too many animations and the layout is basically composed of parallax and photos. The details are well laid out and evenly spaced apart from each other to avoid cramping up the layout. If you are a fan of parallax, give this theme a try! If you do not have coding knowledge, do not worry because this theme will help you customize your layout without even touching a single line of code. 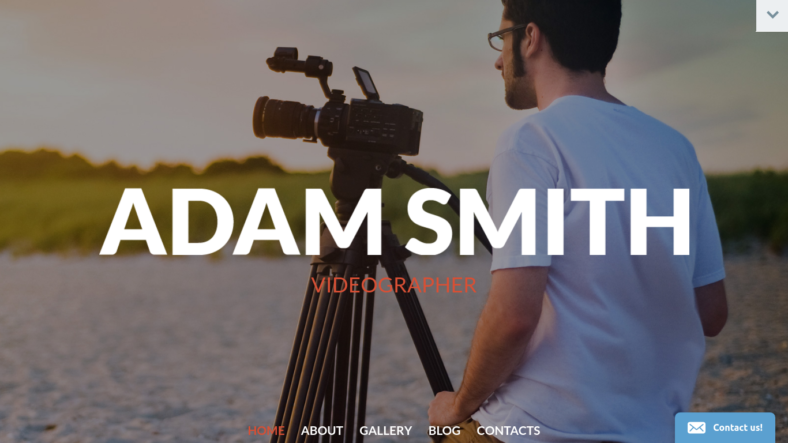 What makes this theme great for videographers is that it is optimized for the super-fast loading of pages with videos. Your audience will not have to wait long to view your works. Placing the links to your social media sites will also help you grow your audience. 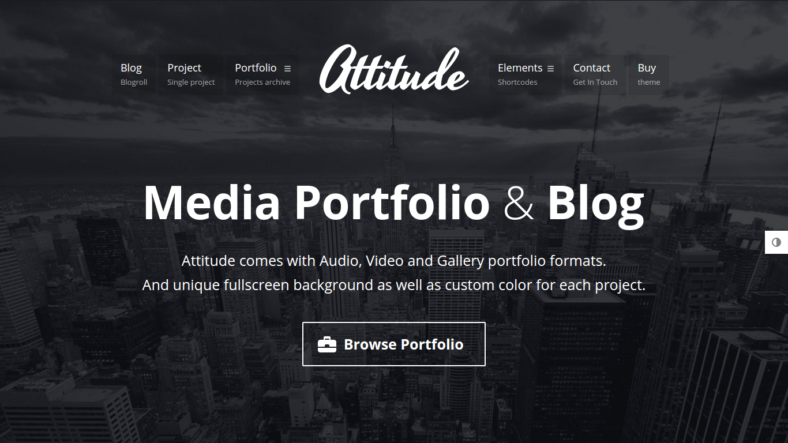 You may also see Multimedia WordPress Themes & Templates. This is a very organized theme that categorizes the different aspects of your website. 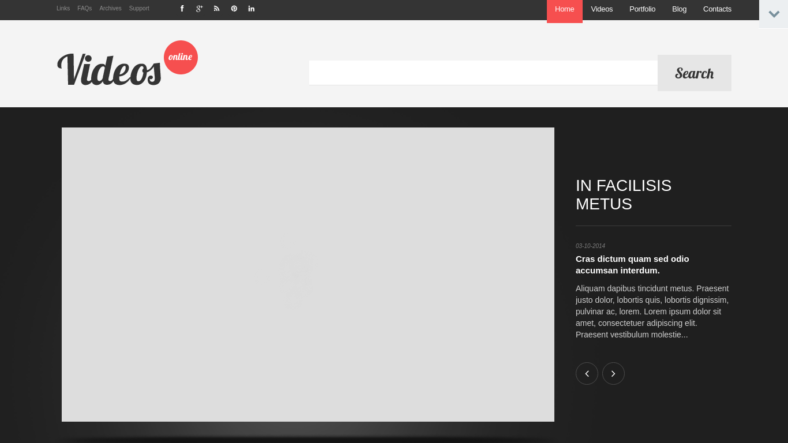 The home page only consists of a background video, which lets you feature snippets from your best works. This way, site visitors can grasp how good your skills are. Videos are grouped in a certain tab so they will be neatly displayed. And in your videos tab, you can group your videos into your preferred categories. It is definitely a great theme if you have an organized way of doing things. This dark theme contrasts with its title, Solar. But with the dark web theme, the videos are emphasized well and are more noticeable compared to having a light theme. It has retina support so the display would look sharp and crisp on devices. And if you want to reach an international audience, this theme will help you as it is translation-ready. The website is fast, robust, and future-proof as it is built with HTML5. Demo contents are also included to help you with installing the theme. The color scheme used in this one matches it the dark theme. The only unusual thing, though, is that your featured works are shaped into circles, making them look like pearls stashed away in a dark corner. 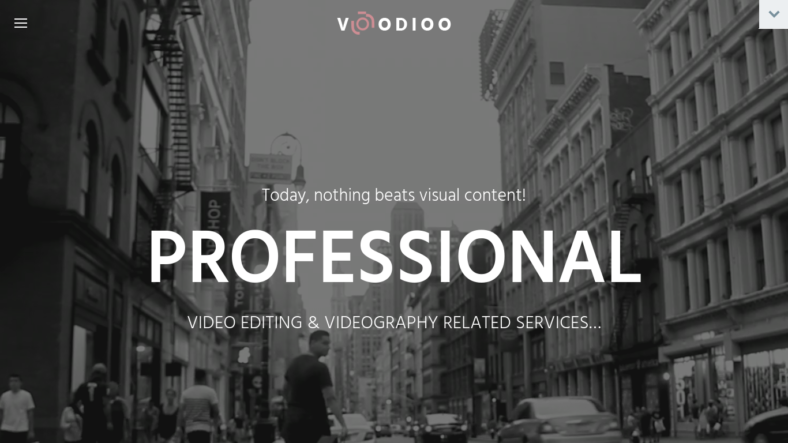 Although it is a dark theme, it does not take away the shine that your videos radiate throughout the layout. This is fully responsive, so you do not have to worry about being able to view it on any device. In the footer lies your social media links to your audience could reach out to you for interactions. Aside from a stunning homepage, the clean and elegant inner pages will make you want this theme more. 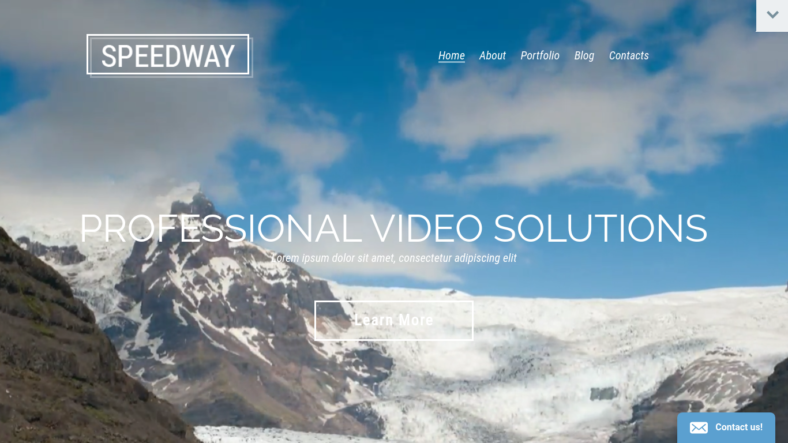 The modern, fully responsive layout is perfect for showcasing your craft. Should you want to change something about the elements, you can do so as this theme gives you control over edits and customization. The colors on the design will surely pop out on devices as this theme is retina-ready. Furthermore, it has cross-browser capability so the design will stay intact regardless of which browser is being used. Uncover other features by trying out the demo. 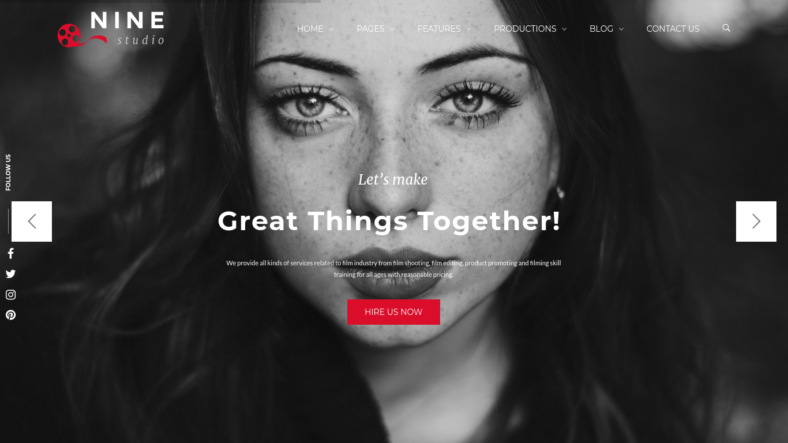 You may also see Multi-Purpose WordPress Templates & Themes. What makes this theme sophisticated, you ask? It is the layout of the images as well as the texts and the font styles used. The animations are kept to a bare minimum, so you can scroll up and down without a hitch. The sections of your website are well-organized and neatly grouped according to the category they belong to. The theme is fully editable so you can customize it in any way that you like. Try the demo version and find out whether it suits your taste. Get started with this theme easily as the one-click installation will breeze you through it. This theme gives you full control over customization and you do not have to worry about ruining the original theme because a child theme is included. The best SEO practices were applied to help your website rank higher. With well-written codes, this theme is well-optimized to be a fast website. Cross-browser support is also available, so you do not have to worry about any browser compatibility. 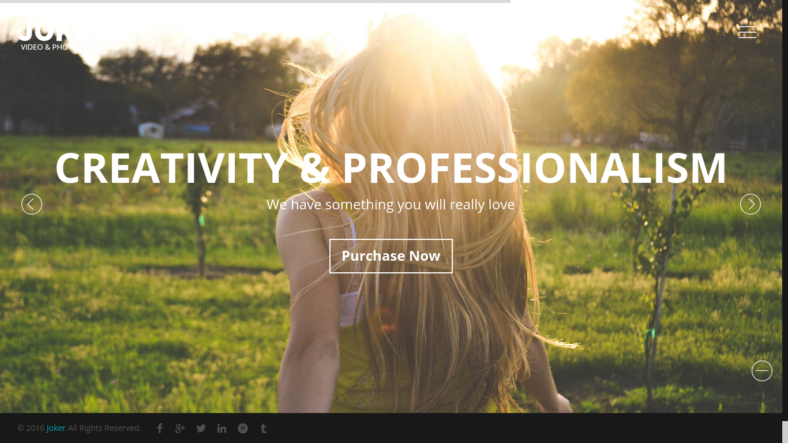 This fully responsive theme is perfect for those who are into easy-to-use functionalities. You may also see Top WordPress Themes & Templates. Choose from any of the eye-catching pages to fit the style of your preference. Or, if you want to give it a personal touch, you can edit the code and customize it any way you want to. This is carefully built with Elementor Page Builder with its Drag-and-Drop functionality, making it an easy and convenient theme to use. This is also built with a mobile first philosophy so you are ensured that this website can run on any device, be it a desktop or a smartphone. It is fully loaded with awesome functionalities so you better start exploring them now! 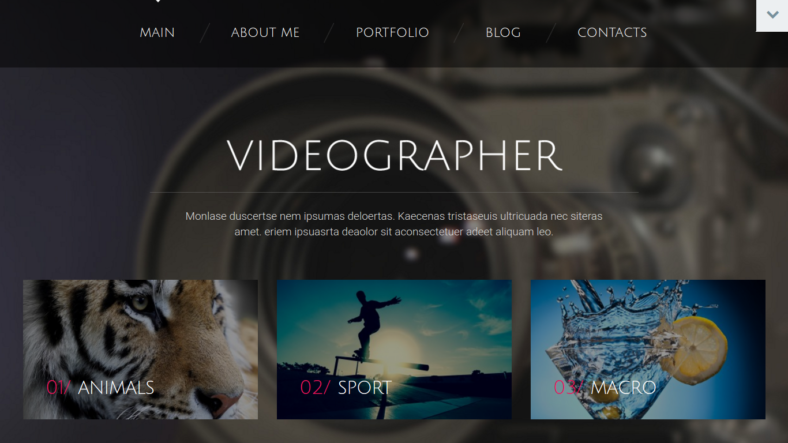 You may also see Video Blog WordPress Themes & Templates. The best themes are the simple ones. There are no cluttered ornaments to distract you from viewing the videos. 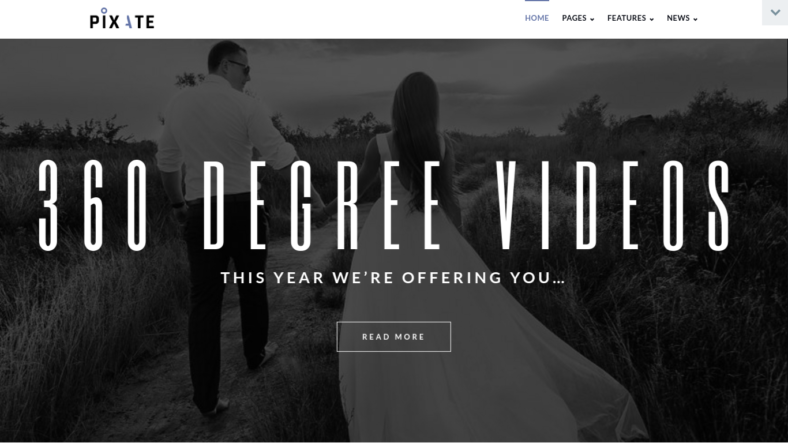 The home page compromises entirely of your videos, so make use of the space and display every piece of work you created. The theme is also compatible with Google’s Chrome, Apple’s Safari, Windows’ IE10+, and Firefox. 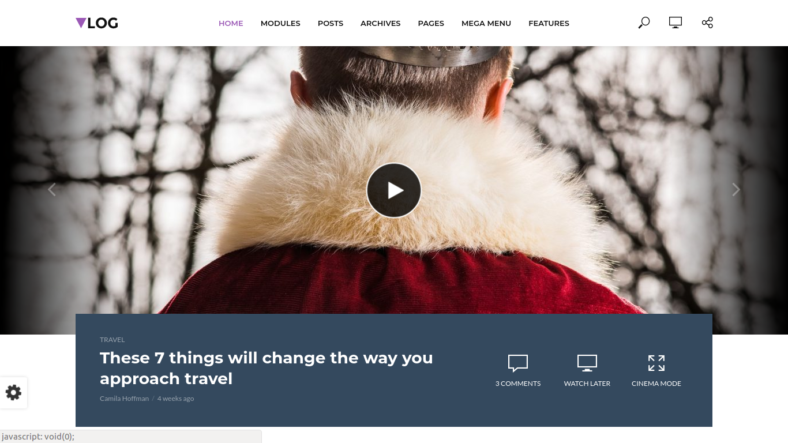 Take note that this theme will only work on the latest version of WordPress, so you might want to update your WordPress first before using this theme. 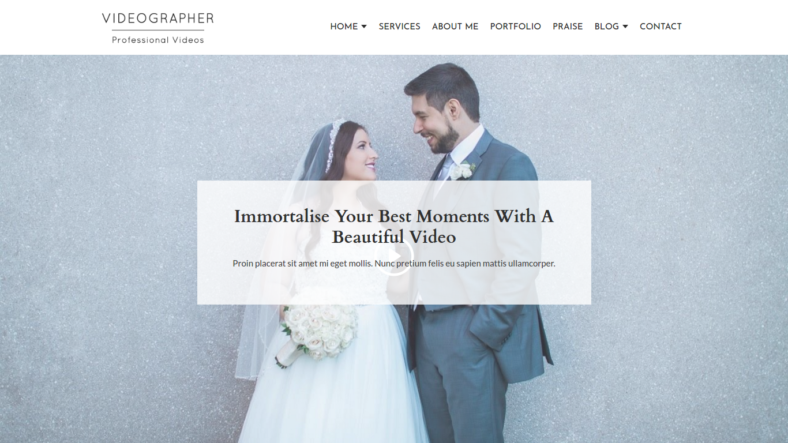 You may see Best Minimalist WordPress Templates. What is great about this theme is the number of options that you have for customizability. Starting off with the home page, there are 13 of them so you can carefully choose which one to use or you could create your own if you like. There is also no need to worry about the installation because an informative guide will help you get through everything with just one click. If you want full control of editing the layout, you can use the powerful theme settings panel included with this theme. Popular woocommerce plugins such as Visual Composer, Slider Revolution, and Multi-language and RTL Support are also included. Exploring this theme will not take much of your time, so try the demo. Elegant and aesthetically pleasing, this theme will catch anyone’s attention right away. Aside from its appeal, the well-documented and clean codes help to make a fast website. The responsive layout also contributes to the user experience of your audience. Additionally, a style customizer is available so you can tweak the styles of any element of your page. The website is also translation-ready so get ready for engaging with an international audience. You may also see Free Business WordPress Themes & Templates. You’ve seen so much and I know it’s a lot to take in. Aside from the aesthetics, pick the one that could offer you the functionalities that you need for a website. Ask yourself if a certain theme will help you with your smart goals. Try the demo versions so you’ll have an idea as to how it works. Choosing the right theme is harder than it seems. It will take time, for sure, but at least in the end you know you’ve made the right decision. Have fun and good luck!